There is no such thing as perfect radio – and therein lies its delicious unpredictability. In fact, so charming is this quality that 90 per cent of UK adults tune into the medium every week. Like many things, radio done well sounds effortless. It is not. Producing great radio is partly down to instinct and partly down to learning then mastering the basics. 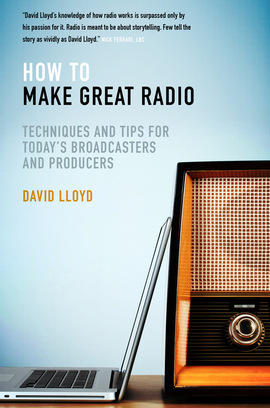 Drawing upon his thirty years spent working with some of the finest talents in British radio, David Lloyd shares a plethora of valuable tips and tricks of the trade in this unique and authoritative guide to broadcasting success. Covering speech and music formats, local and national stations, technical and artistic skills, content and style considerations, and much, much more, this how-to is essential and accessible reading for all – whether you are taking your tentative first steps in radio or refreshing your existing industry knowledge. Lloyd’s hugely entertaining selection of anecdotes, examples, research, insight and pointers sets out to bottle the very essence of memorable radio, determining the factors that differentiate a truly great broadcaster from a distinctly average one, and helping budding hopefuls achieve their radio goals. David Lloyd’s knowledge of how radio works is surpassed only by his passion for it. You have to buy this book. David’s book is recommended reading for everyone who is interested in radio. The bible for making radio. David Lloyd’s extensive experience and passion for radio shine out in a book which is essential and entertaining reading no matter what relationship you have with the medium. So You Want to be a Political Journalist?